For over 30 years, Comtrol has been manufacturing and providing quality industrial data communication and quality networking products specialising in industrial Ethernet and serial device connectivity. From our first product, the Hostess controller in 1982, we have been constantly striving and innovating, introducing the Industry’s first highly integrated ASIC based multipart serial card, the RocketPort in 1993. 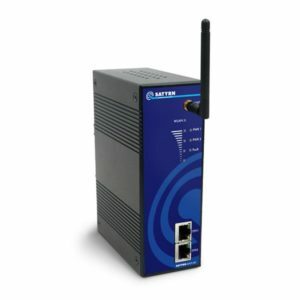 2000 saw the introduction of the DeviceMaster, Serial to Ethernet device servers, with a range of products from 1 to 32 ports per device, expanding this range in 2005 to include the DeviceMaster UP Industrial Ethernet gateways, designed to connect to PLCs. 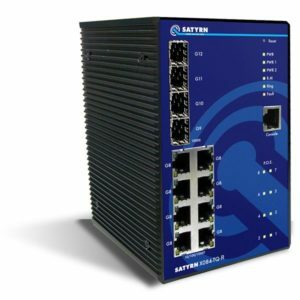 In 2005 we released the Satyrn range of Industrial Ethernet Switches and Access Points, providing affordable, high quality unmanaged and managed units. All our products are backed by our uncompromising UK based technical support, and technical sales staff. Ruggadised 802.11b/g Wireless Access Point with 2 x 10/100 Ethernet ports and dual power inputs.